Customer research and acquisition aren’t the easiest tasks in the marketing handbook. How do you really know what your customers want? We’ll give you a hint: mind reading isn’t an option. If you don’t understand subscribers, your SMS marketing campaigns will be of little to no value. Take some time to do research and ask important target market identifying questions, as this process encourages long term offer redemption. Before deciding on an SMS offer, ask yourself these three questions. What are my most popular products? Don’t discount or push closeout inventory. If it’s not selling well, there’s a reason why. SMS marketing campaigns should tout high value and exclusivity. Make a list of your most popular products or current service offerings. What can I afford to discount? As much as you don’t want to push closeout product, you also don’t want to discount something with an incredibly slim profit margin. Always look for products that have at least a 1.8X markup, as a 20% or so discount is extremely doable in this situation. Is there a place where the two above elements intersect? So at your restaurant, the one pound burger is easily the most popular item on the menu. But unfortunately, the inventory cost for this entree doesn’t offer much wiggle room. Now, the second most popular item on your menu is the Sweet BBQ wings. And, as luck would have it, you currently can get away with a 2.2X markup. You have tons of wiggle room discount wise, and the item is popular enough to catch the interest of your SMS subscribers. 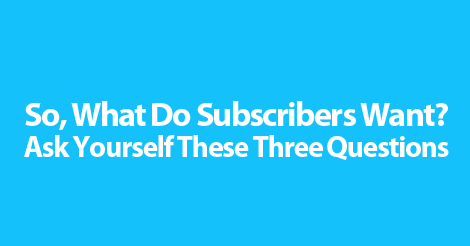 Take time to answer these three questions, as they will help you figure out what SMS subscribers really want. Partner up with the coolest online texting service in town, Slicktext.com. Give us a call today at 1.800.688.6290. Ready to jump right in, and get started? Hop over to our pricing page and sign up for a free plan. Our feature rich platform and top notch educational tools make SMS success a breeze.